Sometime earlier this year, during playthrough one billion and one of Final Fantasy XIII, I realized that I really ought to consider writing a walkthrough of the game, since, having played through the game an almost indecent amount of times, I could give a lot of good guidance that would help new players. Then I realized that sounded like a lot of work, and really I would rather just do a character guide, explaining which characters work well together and which weapons to use, etc. Final Fantasy XIII is all about synergy. Instead of focusing on which individual moves you’re going to use to win a battle, the trick to fighting in FFXIII is to have a party whose paradigm roles, weapons, accessories and abilities are going to compliment one another in order for them to win. In Final Fantasy XIII you don’t so much take on the role of the individual fighters as much as that of a strategist who delivers orders about HOW your characters should fight, rather than explicitly WHAT they should do. This is probably the central thing that throws off new players, and results in a lot of hatred for the game, along with the most cited grievance, the game’s incredible linearity. Final Fantasy XIII is not quite as linear as it’s critics would have you believe, because they aren’t really looking at the game in context. I am something of a Final Fantasy XIII apologist because I think that if only a few important tweaks had been made to the game, it would have come out much better. People complain about meandering down endless corridors, but they aren’t realizing that exploring wide open areas isn’t really the POINT in Final Fantasy XIII. The point of the game is to experience the story, and the areas you move through are a vehicle for the story. Even the battles themselves are incredibly cinematic, the characters seem to be doing a lot of the battling on their own while the camera sweeps around them, and you as the player can’t spend that much time worrying about which actions your party leader is taking because you need to make sure you have a Medic to take care of any low-HP wimps on your team (if I’m just pulling a name out of thin air, let’s say, oh I dunno, Hope), or keeping an eye on your enemies chain gauge and making sure that you have a Commando or Saboteur to stabilize it so you don’t lose all your hard work in chaining. At any rate, each character has versatility, and each character can be put to more than one use. Some characters, like Lightning, are so versatile that they end up in a sort of jack-of-all-trades, master-of-none category (although luckily this can be corrected with stat boosting items; I usually have my Lightning set up to be just as strong or stronger than heavy hitters like Fang), while others ought to be used for their intended purpose, like Fang, who is so built for physical attacks that the only reason she’s any good as a Ravager is that the majority of her attacks will be elemental strikes instead of spells. Hope can be a decent saboteur but he’ll never work as a Commando (and yes, I’ve tried. Long story short, you can give him all the attack power in the world but that won’t make his slow boomerang strikes and inability to Launch any less of a hindrance). Basically my point is that there’s always a way to make every party work, somehow. What I originally intended to was to write up a full “character guide,” identifying each character’s strengths and weaknesses, and my recommendations for how to use them. I got as far as Sazh and Snow, but never really finished, and right now I’m in a tactical RPG phase so FFXIII has had some time to recuperate from my relentless playthroughs. So, it is with this in mind that I present to you my character guides for my favorite and least favorite Final Fantasy XIII party members, Sazh and Snow. Okay, so Lightning is really my favorite, but Sazh is a pretty close second. As for Snow, I still find him incredibly annoying, and it baffles me that a lot of players complained about finding Vanille and Hope annoying, when Snow is so incredibly obnoxious. At any rate, I have warmed up to him a LITTLE after finally trying to use him in my party a few times, and seeing how his obnoxious hero thing softened up throughout the series. Sazh is the oddball character in the party. Vanille and Hope are mages, Fang and Snow are physical attackers, and Lightning and Sazh serve as all-rounders, but he doesn’t pack the same firepower as Lightning. Like Lightning, his stats are evenly dispersed between attack and magic, and he has access to both the Ravager and Commando roles pretty early on. Unlike Lightning though, he is one of the slowest attackers in the game. His attack animations for magic and physical attacks are both fairly slow, and his attacks are unlike anyone else’s because he attacks with a rain of bullets, each one doing smaller amounts of damage. You’ll notice early on that Sazh’s weapons have about half the potential attack or magic power as other characters, and even though the explanation might seem obvious, it actually took me a while to notice why: it’s because Sazh has two guns. So, his weapon might only increase a particular stat by 100 points, but in battle it’s really increased by 200 points, because he attacks with both guns. Even though he has a few drawbacks, Sazh should not be underestimated. Because of his unusual attack setup, Sazh is sometimes able to deal more damage cumulatively during an rain of bullets than a character like Lightning would with a single slash. He also has an incredibly useful Blitz ability that unleashes a hail of bullets across a wide range of targets. His starting element is fire, but like all the other characters he quickly learns other elemental abilities like water and lightning. His unique full ATB ability is called Cold Blooded, and it’s something of a cross between Lightning’s Army of One and Hope’s Last Resort. Sazh unleashes a flurry of magical explosions and gunshots, which are not really all that strong on their own, however, they’re not meant to be. The purpose of Cold Blooded, like Army of One, is to boost the chain gauge of an already staggered enemy. And not only does it do this well, it does this OUTSTANDINGLY well. Sazh has the highest chain boost potential of any character in the game. This effect is really brought to a head if you combine Cold Blooded with his weapon Antares Deluxes that increase Chain Bonus Boost, and upon upgrade grant Chain Bonus Boost II. Together, a single use of Cold Blooded can bring certain enemies’ chain gauge almost all the way up to 999% once they’re staggered. For some reason, Sazh has the most HP in the entire game, even more than Snow, whose role in both battle and the story is to literally be a giant damage shield. You won’t notice Sazh’s high HP early on, but later in the game he outclasses everyone in HP. 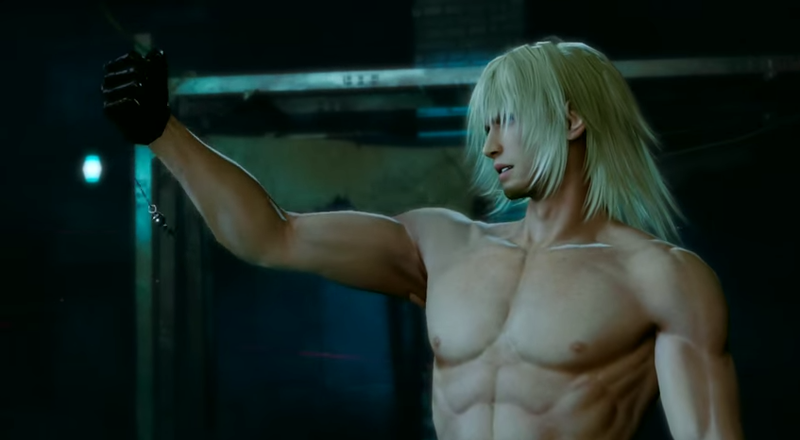 Interestingly, he’ll also be one of the first characters to completely finish the Crystarium. One of his weapons attempts to take advantage of his high HP by trading off great stats for the “paper tiger” and “silk tiger” abilities, but honestly even with his incredibly high HP, that paper tiger ability is so debilitating that you need to equip Sazh with HP accessories to offset it, and when choosing a weapon it’s important to consider whether or not you’ll have to waste any open accessory slots offsetting a weapon’s downsides. In my experience it’s usually better to settle for a weapon with average stats and a good effect, or good stats but no special effect, than to choose a weapon with great stats but a debilitating effect like Silk Tiger, Stifled Magic or Stagger Lock. Sazh can hold own as a Commando, particularly when he’s the party leader and you have the freedom to employ his Blitz ability at will for maximum enemy coverage and several extra hits. Sazh is also capable as a Ravager, but as an all-rounder he isn’t actually designed to excel in either role, but to boost an enemy’s chain gauge into oblivion so that a heavy hitter like Fang or Snow can deal the most damage. As with any character though, you can turn him into a heavy physical or magical hitter with a combination of weapon choice and accessories. Sazh’s third role is Synergist, and he’s far and away the most useful Synergist for most of the game. Hope’s Synergist abilities focus on casting protective buffs and guarding against elements, whereas Sazh gains access to offensive buffs like Bravery, Faith and Vigilance almost immediately, and in my experience these buffs are just more useful than defensive buffs most of the time. Be advised that his AI and auto-battle script prioritizes using Vigilance before buffs like Bravery of Faith, so if you need one of those quickly you’ll have to do it manually. Hope’s significance as a Synergist shouldn’t be downplayed, but defensive buffs are most useful during boss fights, and offensive buffs tend to be better suited to random enemy encounters, which obviously you’re going to have way more of. As a Sentinel, Sazh is one of the three characters who use the “guard” abilities rather than “evade” abilities. I see why they did this for symmetry amongst the characters (three using guards and three using evades), but it seems to me that it would have made more sense. I can’t say too much about it because I rarely use Sentinels at all and even more rarely have ever used Sazh in the role. 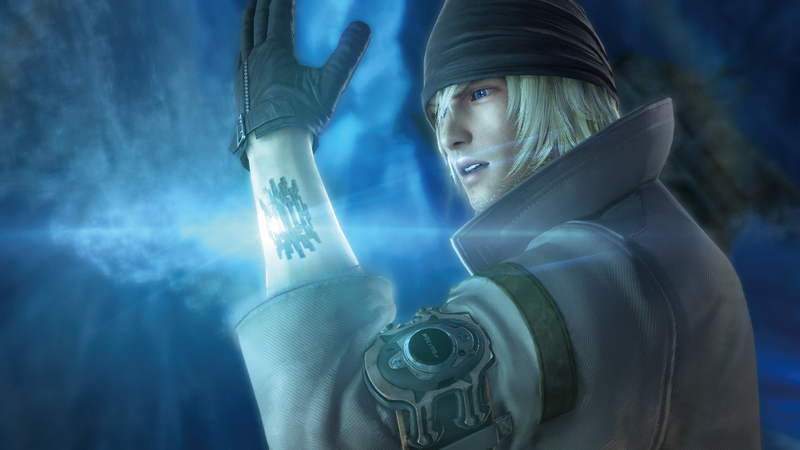 As a Saboteur, he learns mostly the same abilities as Vanille in mostly the same order, focusing more on the standard abilities like Deprotect and Impreil than area-of-affect abilities like Deprotectga and Imperilga. As a Medic, he is capable of learning Curasa, which not all characters can do, and can heal well enough, but not until you’ve traveled a very long way through his Crystarium path. For the most part, if you’re playing through the game for the first time and unlock his Medic role shortly after arriving on Gran Pulse, he’ll only have access to the cure spell. Most of the party’s eidolons function the same. Brynhildr will heal you if you’re damaged, stabilize the enemy’s chain gauge with physical attacks and boost it with magic (mainly fire elemental). In Gestalt Mode Brynhildr turns into a car, which has some pretty good spinning area-of-effect attacks, plus one really cool ability that grinds sparks into an enemy’s face and can be used repeatedly back-to-back for excellent chain gauge boosting. And in case your wondering, it’s pronounced “Broon-heel-door.” And also in case you were wondering, she’s female. The more modern version of the name is Brunhilda. Like Lightning, Sazh has the potential to be a strong physical or magical fighter, or to excel at neither but provide support in both. Unlike Lightning, he doesn’t have access to the Medic role, so his usefulness in a party is somewhat diminished. If you’re planning on using Lightning in your central party, be careful if you choose to include Sazh. You absolutely cannot function without having at least one of the two, Hope or Vanille, in a party. This means that if you choose to use Lightning, a mage, and Sazh, you’re down one powerhouse Commando, so you’ll need to either turn Lightning into one (which is pretty easy to do with a weapon like Gladius and a few Power Wristbands), or try and turn Sazh into one. 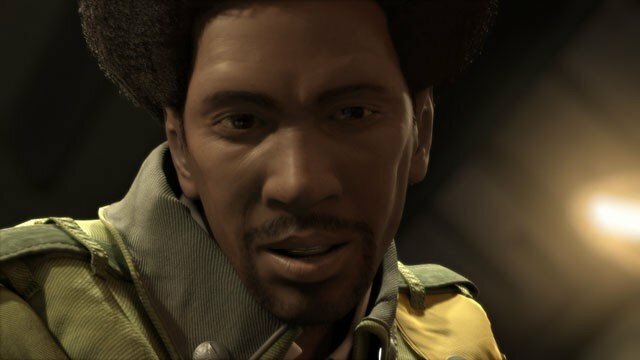 Unfortunately, Sazh is just really difficult to include in your party right when you gain the ability to switch members because of how balanced he is. Even if you don’t like Lightning (in which case the door is that way) and don’t want to use her, you can’t really replace her with Sazh because doesn’t have the Medic role, and relying purely on Hope or Vanille to heal your party can prove to be very dangerous. Really, Sazh is best suited to advanced players who have their final party destinations set in their mind and know how to offset his flaws. If you’re a beginner, it’s better to stick to Lightning as your all-rounder. Whether you choose to play offensive or defensive if a consideration too: if you prefer to be defensive, you’ll want to use Hope for protective buffs and healing, if you prefer to go on the offensive, spending the time in battle to buff your party with Sazh can provide an advantage. Personally, I love the Sazh-man. 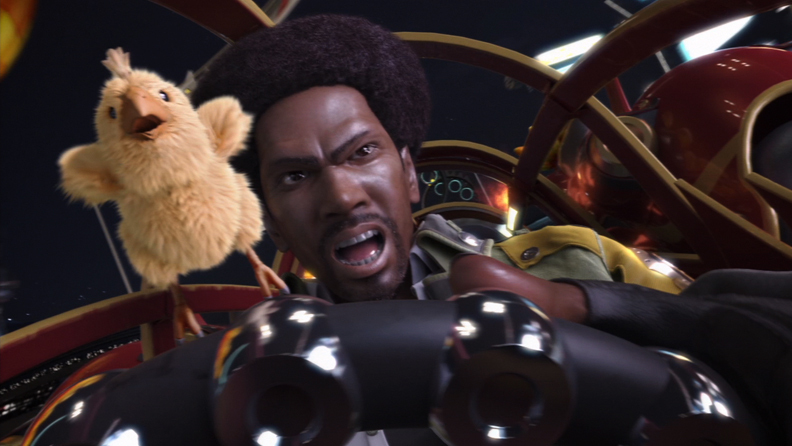 He’s the game’s most well-constructed character with the most emotionally compelling storyline, his voice actor did something few are able to do, which is to channel Eddie Murphy without being an embarassing ham, and he has that adorable chocobo hanging around him (choco-boco-LEE-NAAA!). He is very tricky to include on a party, but if you’re willing to put in the effort, he pays off as a great all-rounder with access to the best chain gauge boosting potential in the game. Just don’t make the mistake I made and think you can just throw together a party of Lightning, Sazh and Fang because they’re your favorite characters right after you get to Gran Pulse. You NEED a capable Medic. Never forget this. Oh, Snow. The big lug. I hate this character so much, on so many levels, and for such a wide variety of reasons. For one thing, he’s a thoughtless, arrogant, chummy douchebag whose unnering optimism and positivity is both inappropriate and uncomfortable, and for another it’s difficult to make sense of just what the hell to do with him in battle. He’s the only character apart from Lightning to start out his career as a l’Cie with both Commando and Ravager unlocked, but he isn’t an all-rounder, and mostly should only be used as a supporting Ravager, never as your main magical damage-dealer or chain booster. Snow’s role in both the story and battle is to stand there and take damage. He’s a walking and talking Sentinel if there ever was one. FF13 Drinking Game: take a drink every time Snow falls from an incredible height and doesn’t die. Warning: you will be drunk quickly. He takes so many hits and so many falls that it’s a wonder he doesn’t die of internal bleeding halfway through the game. He wears that ugly tan trenchcoat and covers his hair with that ridiculous bandana, and his punching attacks just don’t FEEL as nice as anyone else’s. With Lightning you get that satisgying slash, with Fang you get the pummeling noise, but Snow just punches people, and for some reason it feels out of place to me. Luckily, Lightning hates Snow as much as I do for most of the game, so she punches him in the face several times, and every time she does, an angel gets it’s wings. 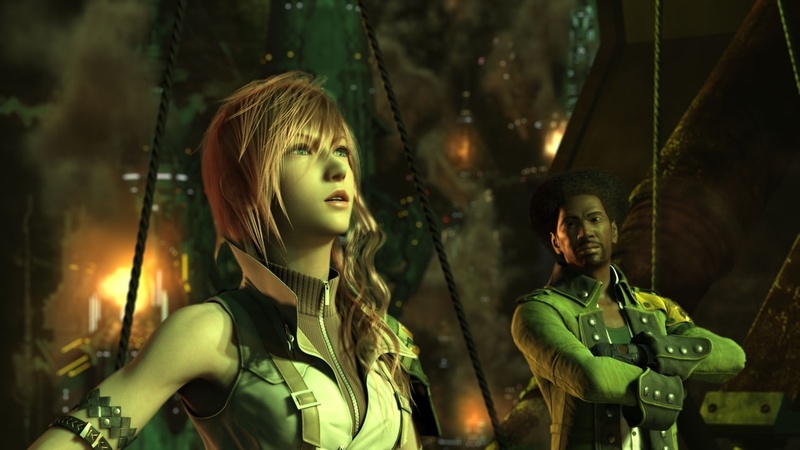 FF13 Drinking Game: Take a drink every time Snow shouts out “Serah!” or says “We can SAVE Coccoon!” Again, you’ll be drunk well before chapter 3. But now that I’ve diatribed enough about how much I dislike Snow, let’s get into his actual usefulness as a character. Snow’s individual storyline is actually really weird, and he spends most of the game away from the rest of the party. Even when he rejoins the main team, he stays behind as an extra character that the game doesn’t allow you to swap into your party until you gain that ability on the Palamecia. He’s on his own for a chapter of the game, and is the first character to unlock an Eidolon, though not the first Eidolon you’re allowed to use. When he does resurface his only ally is Hope, and the two of them make an incredibly awkward team with only average damage-dealing or chain-boosting ability. Mostly, he falls short in the roles he’s expected to play: as a Commando, he has great damage dealing potential but is severely outclassed by Fang, whose slightest touch can obliterate small planetoids. As a Ravager, he can work well if you give him a weapon with high magic but then you’re missing out on his much better Commando abilities, including his ultimate ability Sovereign Fist, which we’ll get to in a moment. As a Sentinel he does very well, having the highest HP for most of the game before Sazh unexpectedly beats him at the Crystarium finish line. In his secondary roles, he mostly learns big area-of-effect abilities. His Synergist path is complete with abilities like Bravera and Faithra, and his Saboteur path has Deprotectga and Deshellga. As with most other characters he’s a competent Medic later on, but shouldn’t be relied on as one. Soverign Fist works exactly the same as Fang’s Highwind ability, excepting that Fang is far superior in every way. Basically you wait until the enemy’s chain gauge is really high, or they’re about to lose their Stagger entirely, and then use Sovereign Fist for one big powerful wallop. Use it carefully though, because it resets the enemy’s chain gauge. This means you’ll miss out on any character using Scourge or Smite, but Sovereign Fist will most likely be stronger anyway. I have played Final Fantasy XIII more times than I can actually count, and have almost never included Snow in my party, even in passing. I tried it once, but not for very long. I know I’m hard on him, but he really isn’t that bad. If you put in the effort he can be an incredibly capable physical attacker, I just really don’t like this guy. Every time he says something corny and cracks a smile I just keep hoping Lightning will deck him for me one more time. Let it be known that even though the sound of his voice makes me roll my eyes, I actually like his voice actor. It isn’t the actor’s fault, he portrayed Snow the way he is: a cringey parody of the hero archetype. He thinks he’s a hero, but he consistently fails at everything heroic he tries to do, and is so fond of throwing himself in harms way or offering to take someone else’s punishment that you start getting the feeling that being a Sentinel really turns him on. He also has a habit of saying EXACTLY the wrong thing at the wrong time. Like bragging to Hope, whose mother died saving Snow, about how he’s going to have a big happy family one day, about how he’s going to save everyone, and accidentally using her name in a sentence. I get it Hope, I hate him too. And if his abduction by the cavalry is any indication, the army really is more than a match for NORA. Side note: am I the only one who thinks that his character design is a weird amalgam of Seifer’s two designs from Final Fantasy VIII and Kingdom Hearts? Just take Seifer’s central outfit from Final Fantasy VIII and add his bandana from Kingdom Hearts and bam, you’ve got snow. Except Seifer knew when to quit. He’s, uh… he’s a terrible… uh, character… I uh, I hate him… I’m not… I’m, uh, not attracted to him… Nope… Definitely not. What?